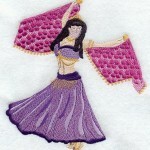 I’m trying out a new belly dancing class this month at a shop downtown called Nourish To Flourish. The class is taught in a small studio on Main Street (208 N. Woodland Boulevard, DeLand, Florida) by former professional dancer Ava Zamora. Last night I learned how to use a veil while belly dancing and was introduced to finger cymbals. Lots of fun! I find the mission statement of Nourish to Flourish to be peacefully uplifting. “Nourish To Flourish is committed to bringing your family the best nature has to offer. We want to encourage everyone to leave our earth better than we found it for future generations of God’s children. In addition, we want to point out that living a healthier life style should never be approached from a place of fear. A healthy mind, body, and soul can only be achieved through common sense and a positive, joyful attitude.” I’m all for that! 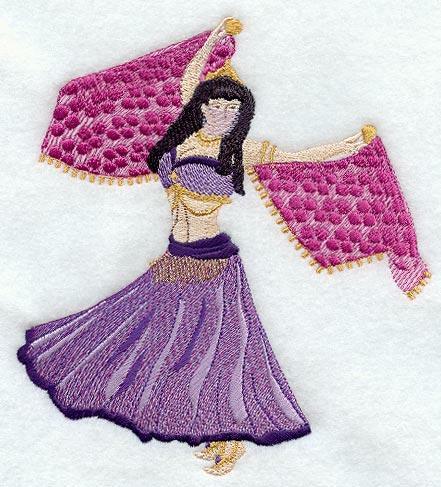 Belly dancing is a “thorough and effective exercise from head to toe and a fun way to get in shape, tone, and firm the body.” It’s also a great way to build bone density. Interested? For more information, call Ava at (386) 736-1998.